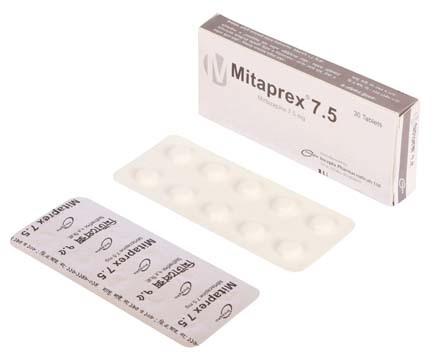 Mitprex (Mirtazapine) is a tetracyclic antidepressant belongs to piperazine-azepine group of compounds. The mechanism of action is unknown. Studies suggest that Mirtazapine enhances central noradrenergic and serotonergic activity. 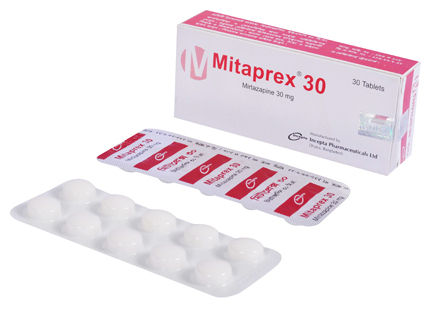 Mirtazapine acts as an antagonist at central presynaptic alpha-2 adrenergic inhibitory auto receptors and heteroreceptors that result in an increase central noradrenergic and serotonergic activity. 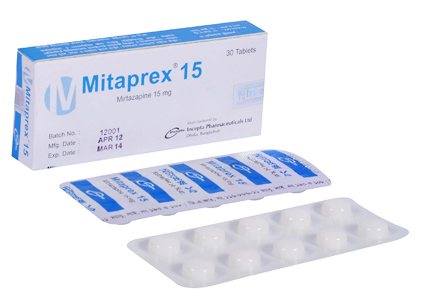 Mirtazapine is a potent antagonist of 5 HT2 and 5HT3 receptors.